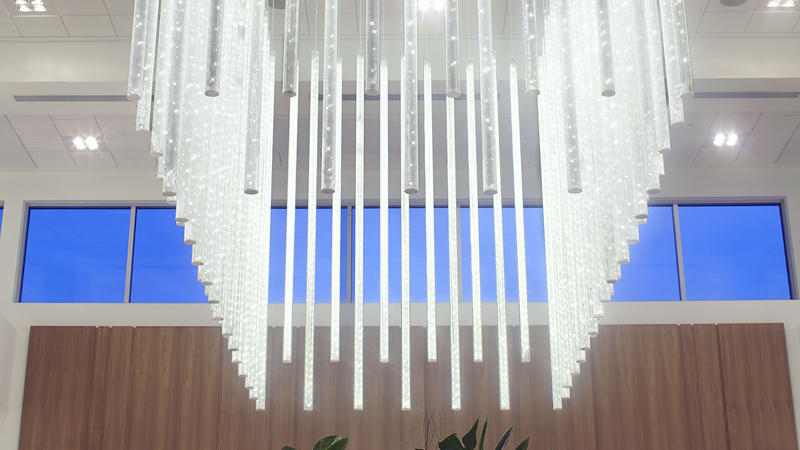 Gabriel Mackinnon is Canada’s leading architectural lighting design studio. The firm, established in 1974, has since completed projects across a wide range of environments including shopping malls, offices, schools, museums, hotels, and heritage spaces. They are proud to provide services to many of Canada’s leading architects and property groups; developing and maintaining lasting relationships with clients, many over decades of successful projects. The firm has built a solid reputation built on their ability to work as a key member of the design team, a positive team player and the ability to assist and educate their clients in making design decisions based on value to the overall success of their projects. The firm is proud of their long term relationships with a distinguished clientele. From a base in Ottawa, they complete projects from coast to coast, with projects underway from Vancouver to Newfoundland, and many points in between. Project specialties include major public spaces, heritage renovations and redevelopments, offices and commercial spaces, retail, museums and universities, streets and landscape, and residential lighting design. Lighting designers do more than simply make buildings, and their architects, look good. Their input can end up making a big difference in the mood evoked by the space, the productivity of the people in it, the energy costs, and even sales, in the case of retailing. Lighting should not merely illuminate architecture; it should reinforce the creative concept. When planned early enough, lighting can make a building more attractive, safer, more energy efficient, and easier to maintain.